Technology is playing an increasingly integral role in modern business, and companies that fail to leverage the tools available to them risk being edged out by more forward-thinking competition. How many people are using the cloud? Arguably the most disruptive piece of tech to emerge in recent years is the cloud. Prized for its flexibility, scalability and cost effectiveness, more and more organisations are integrating the cloud into their day-to-day processes. 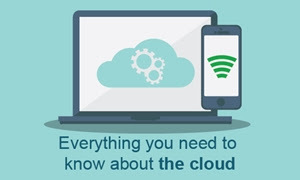 In fact, an incredible 80 per cent of all Australians actively use cloud services, according to figures collated by the Australian Communications and Media Authority (ACMA). When it comes to business, organisations are using the cloud in many innovative ways, but perhaps the most significant thing it has changed is how people communicate. Cloud-based phone systems, for example, are as affordable as they versatile, thanks to the fact that they function without on-site servers and require less overall infrastructure. However, it's worth noting that the advantages aren't purely financial. Cloud communications solutions are also easy to install, offer seamless disaster recovery features and give employees the opportunity to work from anywhere on the planet. This last point is particularly important, given how dynamic the business world is becoming. Around half of all Australian employees now work remotely, according to the ACMA, highlighting a growing need for flexibility that conventional phone networks are simply not able to provide. Cloud-based systems, on the other hand, give companies the power and versatility they need to excel in today's tech-heavy business landscape.